SK85MSR Two-piece boom - Kobelco Construction Machinery Europe B.V.
From urban and residential estates to forests and quarries, no two job sites are the same. On-site conditions will also vary, and excavator operators may find themselves facing many different challenges such as uneven and difficult terrain or extremely tight spaces. Kobelco’s two-piece boom enables mid-size machines to work across a wide operating range, even in compact spaces, and provides smooth hydraulic operation, high performance and increased fuel efficiency. 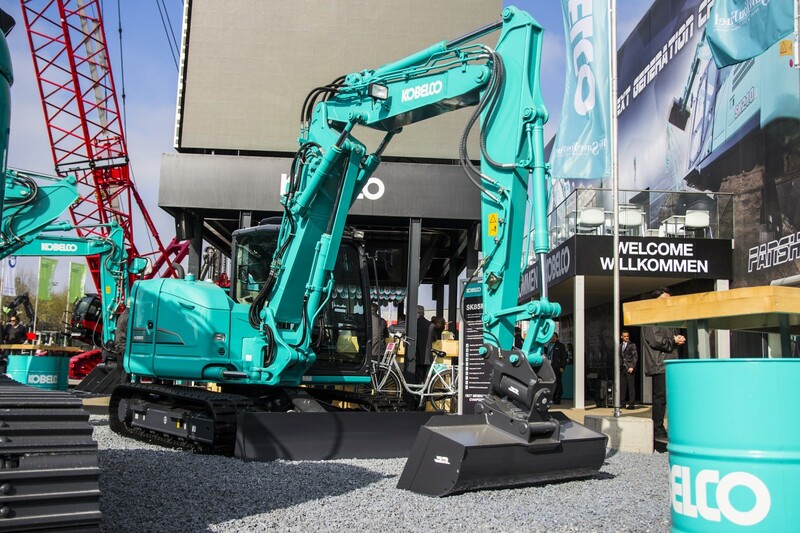 When fitted to a Kobelco SK85MSR, for example, the two-piece boom enables the machine to dig as deep as 4,590mm and achieve a digging reach of 8,010mm. This is ideal for applications such as groundworks, drainage and preparing trenches for utilities. The two-piece boom attachment is also available on the Kobelco SK140SRLC, SK210LC and SK260SRLC models.